Over one million American military veterans are living with mood anxiety, posttraumatic stress disorder (PTSD), depression, and other disorders. While Veterans Affairs, or the VA, attempts to find successful therapies for veterans, many individuals are left feeling hopeless and defeated when none of the treatments they’re offered work. As clinicians explore new therapies for their patients, several are turning to neurofeedback, a form of biofeedback which empowers individuals to regulate their brain waves with technology. Neurofeedback, also referred to as neurotherapy or EEG biofeedback, uses real-time displays of brain activity (called EEG) to teach the brain to function in a more regulated, balanced, and healthy manner. In theory, a healthy brain is designed to adapt to changes in our body and environment. A healthy brain can self-regulate, altering its waves to cater to the current situation. In an ideal world, every individual would have a healthy brain and would possess the ability to regulate their moods, anxiety levels, and physical reactions. 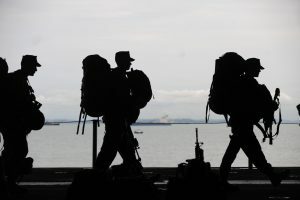 The reality is millions of people are living with mental disorders and illnesses which prevent them from balancing their brain activity—and many of these Americans are military veterans suffering from service-related posttraumatic stress disorder. Neurofeedback works by detecting the brain’s wavelengths using EEG biosensors. These biosensors can be applied in the form of a headset or electrodes. EEG biosensors monitor the brain’s activity during a neurofeedback session and detect how fast or slow brain waves move. During a neurofeedback session, a patient may watch a movie or play a videogame to stimulate their brain waves. A therapist follows brain activity on a monitor and programs the computer to stop the movie or game if activity is abnormal (if waves are too fast, too slow, or erratic). This repetitive start-and-stop feedback has proven to produce more balanced brain waves, resulting in improved focus and relaxation. According to studies published by Dove Medical Press Ltd., PTSD is the third most prevalent psychiatric diagnosis among veterans. 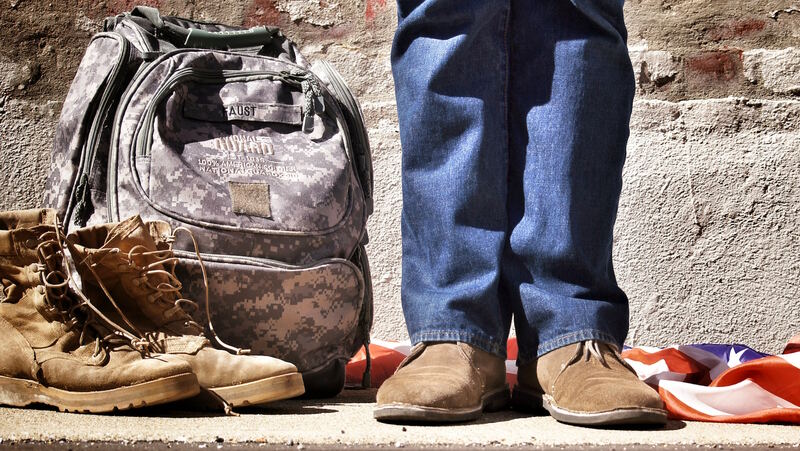 With PTSD affecting at least 20% of Iraq and Afghanistan veterans, there is a great need and a huge opportunity to help treat these individuals with sustainable, drug-free therapies. Clinicians have been experimenting with neurofeedback therapy since the late 1950s, and by the 1990s, neurofeedback was being used to treat mental disorders such as ADHD and other psychological and central nervous system based conditions. While many therapists and clinicians treat veterans suffering from the effects of PTSD with treatments such as group therapy, cognitive behavioral techniques, and psychotropic medications, it has recently been established that neurofeedback can provide patients with additional benefits. Some of the symptoms milit ary veterans experience when suffering from PTSD include insomnia, agitation, persistent anxiety, memory loss, and reduced concentration. While these symptoms are difficult enough to live with, patients who are treated with psychoactive drugs also have to cope with the applicable side effects, including lethargy and weight gain. Neurofeedback as a treatment for PTSD has proven to have value, with a recent controlled study finding significant improvements in patients who underwent neurofeedback therapy—post-study, 73% of participants no longer met the criteria for PTSD. When suffering from a mental disorder, there is nothing more deflating than attempting treatment and being endlessly faced with a lack of results. Dr. Thomas E. Fink is a clinical psychologist in Harrisburg, PA who uses neurofeedback therapy on patients who suffer from Generalized Anxiety Disorders, Traumatic Brain Injuries, ADHD, PTSD, and more. Dr. Fink is highly interested in neurofeedback therapy as he’s seen first-hand the positive effects it has on patients. Over the past few years, Dr. Fink has helped numerous patients improve their health through the adoption of MindReflector training. While not a method of treatment, MindReflector is an EEG neurofeedback training app that can support neurofeedback therapy by allowing patients to self-train at home to help reduce the effects of PTSD. Dr. Fink uses the system to allow patients to gain relief at home and to reduce in-office neurofeedback treatment sessions. MindReflector is a system that uses NeuroSky’s MindWave EEG headset to obtain EEG brainwave data. 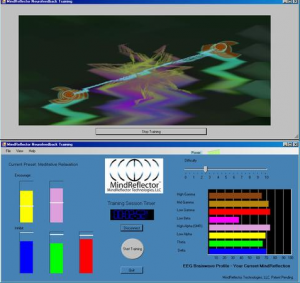 Users can download various audiovisual feedback options from the MindReflector website, allowing them to focus on four different training protocols: Quiet Focus, Meditative Relaxation, Full Spectrum Training, and Alpha/Theta Training. Clinicians can set patients up with an EEG headset and MindReflector app and guide them in performing self-training at home to help reduce symptoms. Dr. Fink uses MindReflector for patients with various symptoms and mental disorders, and in 2014, was able to help a 34-year old Army veteran cope with his PTSD. This army veteran served two tours of duty in Iraq and was experiencing some of the worst effects of PTSD, including anger issues, flashbacks, memory loss, migraine-like headaches, and insomnia. The veteran reported unsuccessful treatment by the VA after attempting therapies such as psychotropic medication and cognitive behavioral therapy (including exposure response prevention). He felt uncomfortable during sessions and even found some of the sessions intolerable. 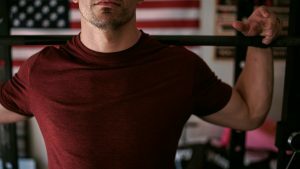 Unfortunately, after these failed attempts at gaining relief, the Army veteran felt defeated and was hesitant to try any other options due to his prior negative experiences. Although skeptical, he agreed to try neurotherapy with encouragement from his father, a physician. After four sessions with Dr. Fink, the Army veteran began to discuss the possibility that he was experiencing positive changes. Although he wasn’t convinced, his wife insisted his mood had improved. As the weeks went on, the veteran reported improved sleep, a gradual reduction of flashbacks, reduced irritability, and improved concentration. With every session, Dr. Fink noticed an improvement in his mood and was even able to get the veteran to open up about some of his experiences while in Iraq. 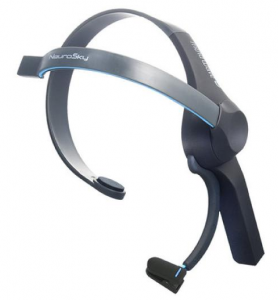 After 18 sessions, Dr. Fink suggested the use of the NeuroSky MindWave headset and the MindReflector app to support his neurofeedback therapy. With MindReflector, patients are able to participate in neurofeedback training at home and are empowered to train as often as they wish. Dr. Fink advised the veteran to use the system at least three times a week but preferably every day. A few sessions after the patient was provided with an EEG headset and the MindReflector app, Dr. Fink proposed reducing in-office sessions to once every two weeks. Over the course of time, with the help of the MindReflector software, the veteran was able to reduce sessions to once every three weeks and was using the MindReflector system at home when he was feeling more anxious or irritable. Overall, his treatment in conjunction with the MindReflector system has provided him confidence in his ability to function without the constant effects of PTSD, has improved his relationship with his wife, and has helped him return to a more relaxed state of mind. Due to the severity of this veteran’s symptoms, Dr. Fink was slow to reduce his in-office sessions. However, with continual at-home use of the the MindReflector system, the veteran was eventually able to discontinue his regular appointments with Dr. Fink. Dr. Fink strongly believes that the MindWave EEG headset and MindReflector software helped his patient develop a higher level of self-efficacy and self-confidence. Increasingly, clinicians are using neurofeedback therapy to aid their patients with PTSD. A system like MindReflector has great potential to support these treatments and provide veterans with more independence by maintaining the results of therapy. EEG headsets can be combined with a variety of health and wellness apps, allowing veterans suffering from PTSD to support their ongoing treatment, reduce anxiety, and improve relaxation levels in the comfort of their homes. To learn more about the benefits of MindReflector, and the present opportunity to provide veterans with more freedom and relief, visit the MindReflector website.